We may never know why some people come into our lives. Sometimes they are there to help you, sometimes you are there to help them. I think in this particular case – it is a bit of both. A while back my husband was driving down the road when he saw a homeless woman. 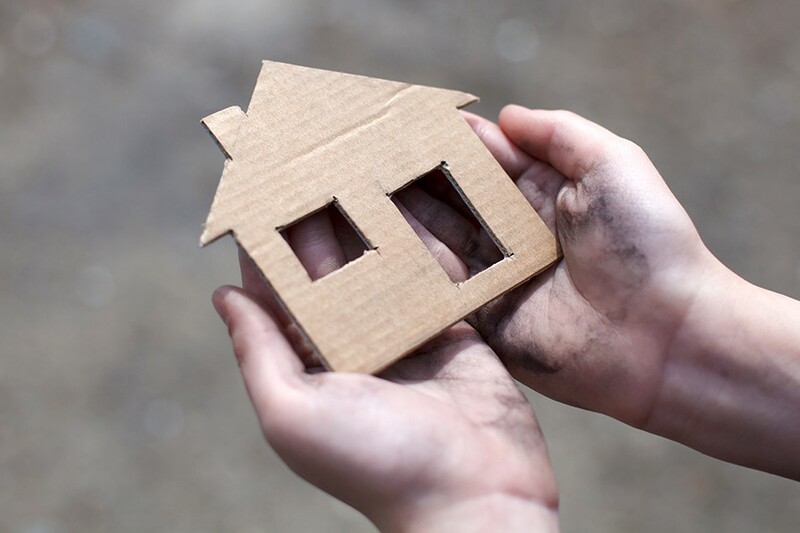 Now homelessness is not new, it is an affliction that affects many in our society for various reasons. After working and living in NYC for a few years, I am sorry to say that I had grown numb to the cause. When something is all around you, it is easy for your heart to grow cold to the subject. You learn to look past it. I am saddened by that. My husband on the other hand is always the first person to help. Need help moving? Need a ride? Need someone to pray for you? Call my husband. It is simply in his nature to be there for people, especially his friends. And if he sees someone on the side of the road with a sign, he is the car that will pull over and offer prayers or money. He does what he can, in whatever small way, to help. I can see it in his eyes, the conflict between being in a hurry verses helping someone. The Spirit in him tells him to stop, and I know in that moment that we are going to help. Its one of the many things I love about him. So back to this homeless woman. That day my husband stopped for her, he ended up spending half the day with her. Talking with her, taking her where she needed to go, and simply learning about her as a person. As a fellow HUMAN BEING – not just a sad person on the side of the road. As someone with a NAME, with a STORY, someone who is loved by God just as much as we are. Since that day we have been in touch with her and have tried to help her as much as we can. Turns out she is an artist, trying to start up her own business to sell yarn crosses that she makes. She spends the cold days riding the bus to keep warm, and carries everything she owns with her. She has a sparkle in her eyes when she talks, and is truly a special woman. And while we have tried to get her in touch with local communities that offer further help, she chooses what she will and will not accept. She has opened my eyes in more ways than I can ever count. Every time we travel with our kids, or they have a sleepover, we end up using their pillowcase as a backpack. We stuff their blankets inside of it, toothbrushes, pajamas, everything goes straight into their pillowcase. 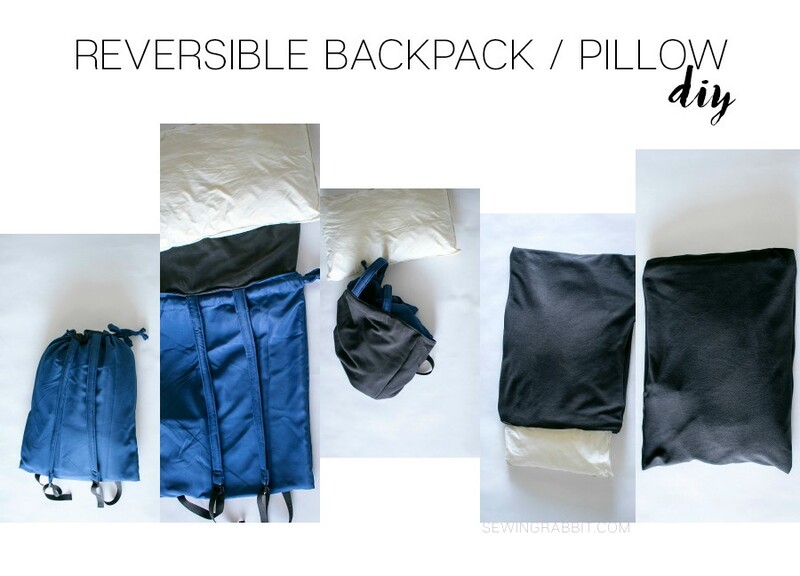 What if I added some straps and turned a simple pillowcase into an actual backpack. Something a person could put their belongings in, and carry with them. Once the lightbulb went off, a lot of thought went into the planning and creation of it. It needed to have the ability to stay clean, have a waterproof and hidden pocket for smaller belongings, and have a way for straps to get tucked inside so as not to be a choking hazard. With all of the details in place, I got to work. 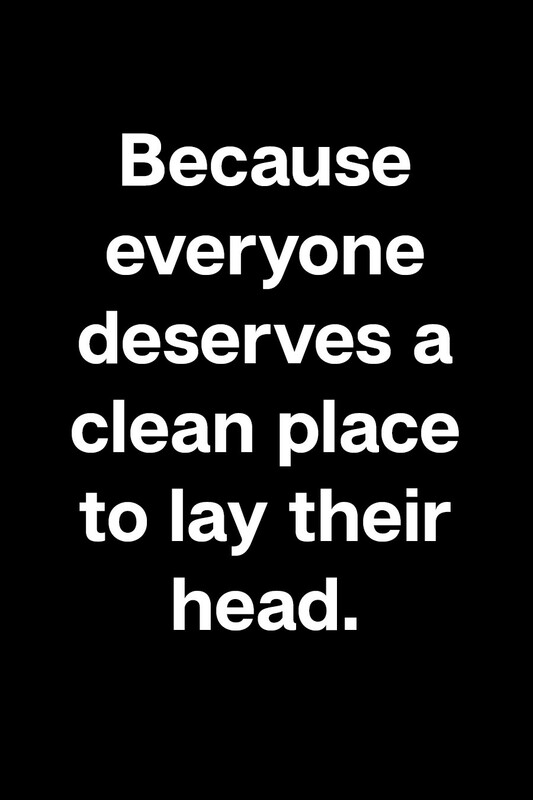 Because everyone deserves a soft, clean place to lay their head at night. 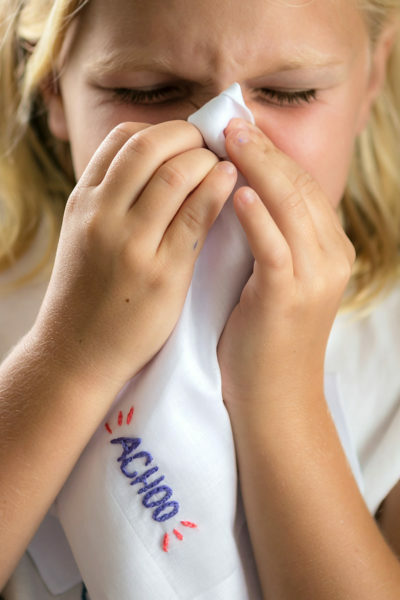 ***Please note – this pillowcase backpack is not intended for children. While the straps get tucked into the pillowcase for sleeping, there are still hazards if one comes loose in the middle of the night. So please, do not make this for a young child. Gather supplies and cut pattern pieces as indicated. Fold one long side edge of the Front backpack pattern piece 1/4″ towards the wrong side and press. Fold again 1/4″ and press, enclosing the raw edge. Sew to secure. Repeat for the Back backpack pattern piece, on the same one edge that coordinates with the Front pattern piece. (The side that matches up when placed right sides together.) 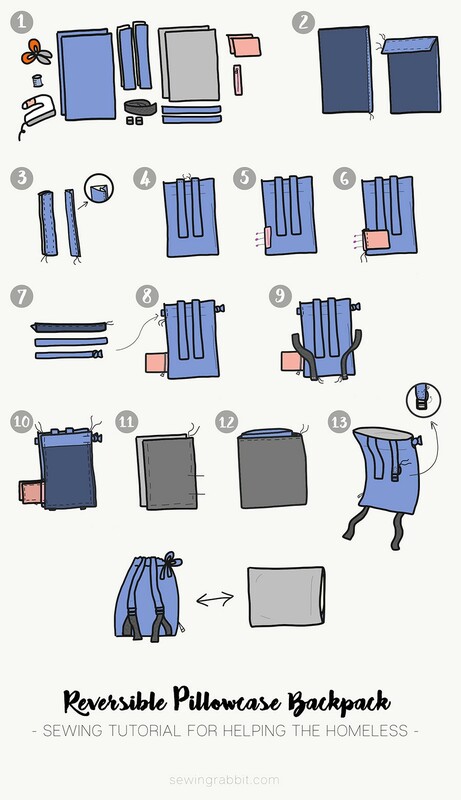 Fold the top edge of the backpack 1/4″ towards the wrong side and press. Fold again 5″ down towards the wrong side and press. Sew the bottom of the folded edge to secure. Sew along the top of the folded line to create a nice casing. Repeat for both front and back backpack pattern pieces. Align the fleece strap pattern pieces to the wrong side of the home decor strap pattern pieces, pin in place. Baste stitch around the outer edges to secure in place. Fold both long outer edge of the strap in 1/2″ towards the wrong side. Fold strap in half, meeting up the folded edges, enclosing the raw edges. Pin in place and sew a straight line down both sides to secure. Pin one edge of the strap to the top edge of the back backpack pattern piece. For placement, determine the very middle of the backpack, and measure 2.5″ on either side of that mark, so that the straps are 5″ away from each other. Pin the top edge in place, and baste stitch 1/8″ away from the edge to secure. Place the zipper right sides together with the back backpack, 3″ from the bottom edge. Pin in place and baste stitch to secure. 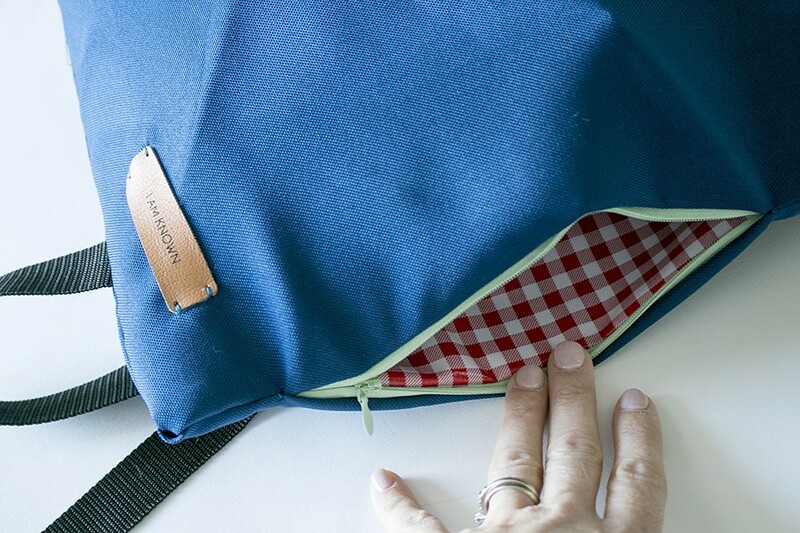 Place one of the oilcloth pattern pieces on top of the zipper, sandwiching it in between the backpack and the pocket. Pin in place and use a zipper foot to sew. Repeat for opposite coordinating side of the front backpack pattern piece with other side of the zipper and pocket piece. Fold home decor tie pattern piece in half right sides together, matching up the long outer edge. Pin in place and sew. Turn fabric tie right side out and press. Fold one outer edge inside of the tube and sew to close. Repeat for both tie pattern pieces. Slip the unfinished edge of the tie into the casing and pull through to the unfinished edge of the backpack. Match up the raw edges and pin in place. Baste stitch to secure. Repeat for both front and back of the backpack with both tie pieces. Tie a knot in the opposite side of the tie, that sticks out from the casing. We want that side to be as flush to the pillowcase when fully opened as possible. Measure 3″ from the bottom side edge of the backpack, and pin one edge of the strapping in place. Baste stitch to secure, and repeat for other side of backpack with other piece of strapping. Place front and back backpack right sides together, matching up all edges. Pin around the sides and bottom, leaving a 2″ opening for the tie casing. 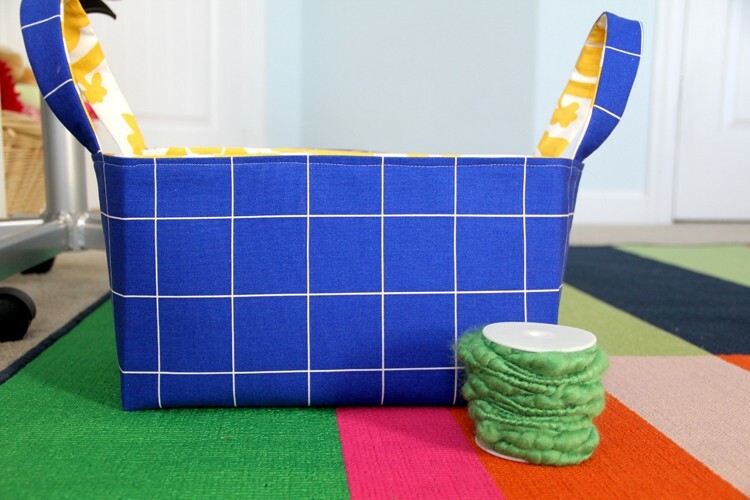 Sew, clip seams, and finish raw edges. Place fleece pillowcase right sides together. Pin around side and bottom edges, leaving a 6″ opening for turning. Sew. Slip pillowcase around the backpack right sides together, matching up side seams. 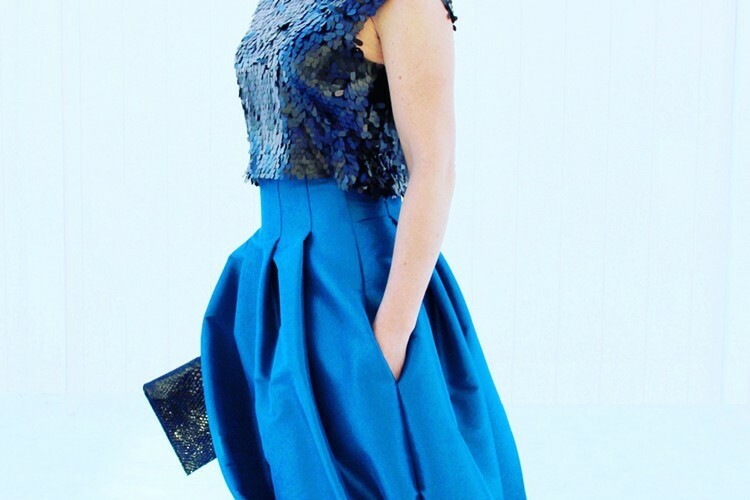 Pin around the top edge and sew. (Make sure not to sew any of the tie strap when sewing the top edge.) Turn right side out by pulling the backpack through the opening in the side seam of the pillowcase. 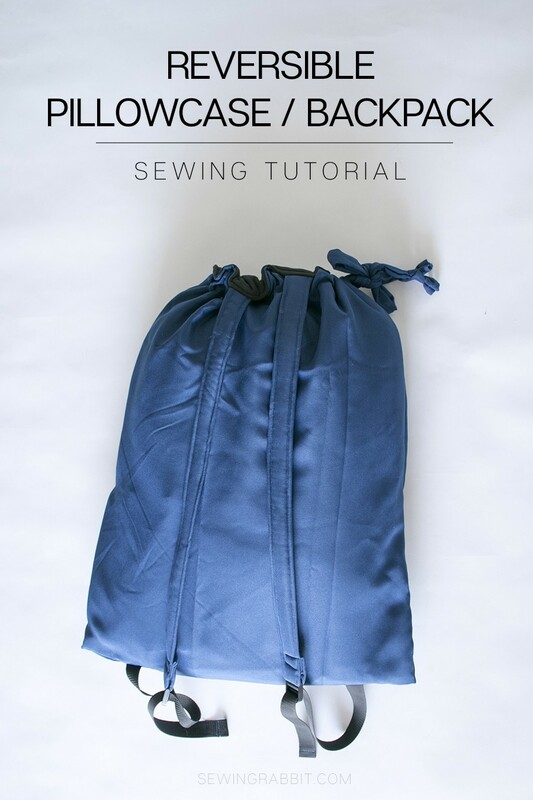 Sew the side seam closed, and push pillowcase inside of backpack. If desired, sew around the top edge 1/4″ away from the edge to secure. Slip the strap adjuster onto the bottom of the backpack strap (you might need to work the fabric a little to get it to fit). Once through, pull the strap 3″ through. Fold the backpack strap 1″ towards the wrong side and pin or clip in place. Using a heavy duty needle and sewing very slowly, sew a small rectangle around the end of the strap to secure adjuster in place. Slip strapping through the other end of the adjuster and fold the strapping 1/2″ towards the wrong side. Fold again 1/2″ and pin in place. Sew a straight line to secure. Repeat for both sides. 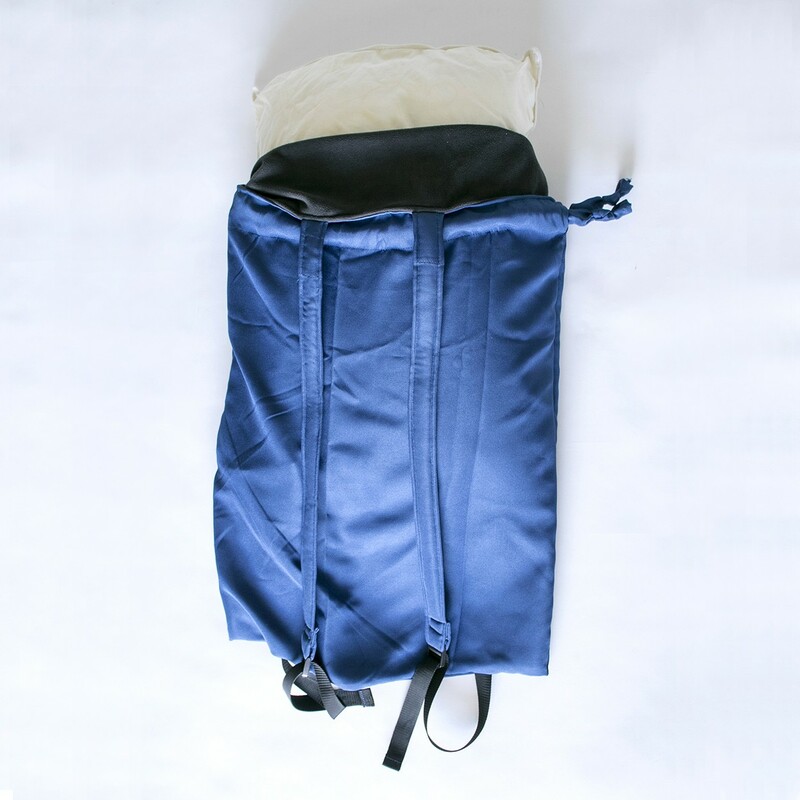 If desired, add scotchgard to the external backpack to help further protect the pillowcase from the elements. And you are finished! What a blessing you and your husband are to so many more than you can possibly know! Thank you for this! Thanks for this pattern! 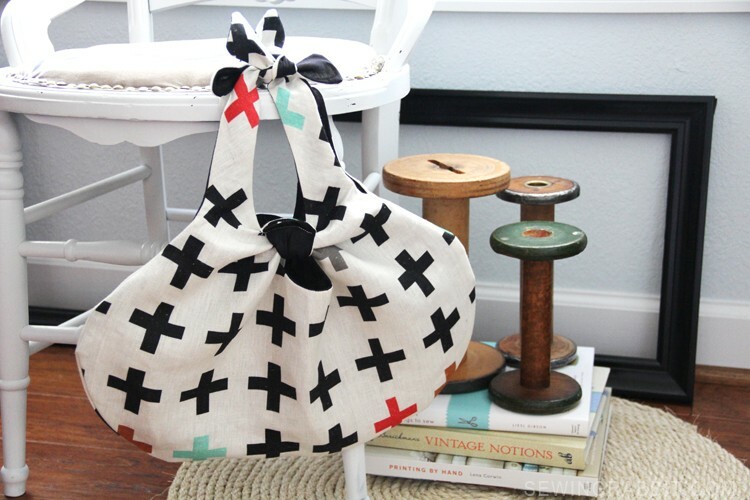 What an awesome idea – I’m going to try to sew a few up to have on hand. Unfortunately I see a number of homeless people on my commute to work in Saint Paul, MN. There’s always a few keeping warm in the skyways, and I always try to meet their eye and greet them with a smile. Wanting to help… yet not knowing how to help. Thanks for the idea. 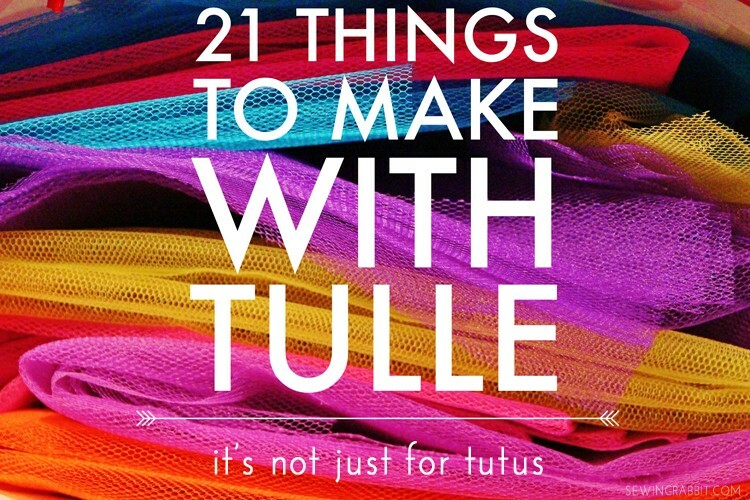 May I link to your post on my blog, Sew Much To Give? I’d like to spread the idea. I’m.. kinda confused at the instructions. As a beginner i’ve never worked with these kinds of written instructions before, yet i wanted to make a huge batch of these to help the homeless peoples around. Would you mind to make a video of how to make this backpack? Written instructions doesn’t work well with me. Thank you! I’m sure that would help lots of other people like me. What an interesting idea! I had never seen one like this before, it seems so practical! Will sure try it!